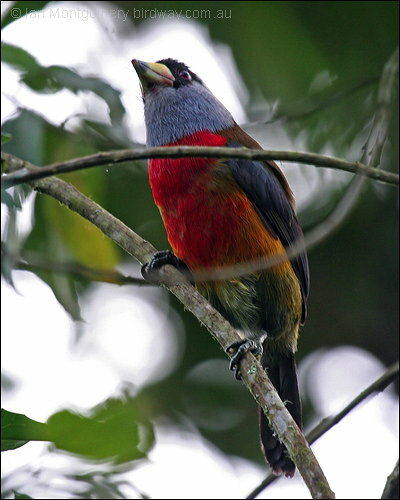 The toucan-barbets are the small bird genus Semnornis. This was often included in the paraphyletic barbets but recently usually considered a distinct family Semnornithidae; alternatively, all barbets might be moved to the toucan family Ramphastidae as a subfamily, Semnornithinae. It contains only two species.